This month, firstwriter.com has announced the winner and special commendations of its Seventh International Short Story Contest, as well as releasing Issue 19 of firstwriter.magazine, Strung Out. 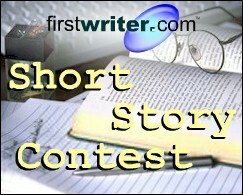 Marissa Hauser of Strasburg, Colorado, was announced as the winner of the competition for her short story "An Unexpected Hope", and wins £200. The winning story can be read online at https://www.firstwriter.com/competitions/poetry_competition/previous_winners/7thstory.shtml. Hollie Davidson, United States, "My Name is Larry". The latest issue of firstwriter.magazine has also just been released, featuring quality fiction and poetry submitted from around the world, plus your first chance to see not just the winning poems from our Ninth International Poetry Competition, but also all ten Special Commendations. To view the magazine click here. To enter your work in our Eighth International Poetry Competition click here. All those whose work has been included in issue 19 have now been notified, so if you submitted work for issue 19 and have not received notification of inclusion then, regrettably, on this occasion your submission was not successful. Please do feel free to try again, however, through www.firstwriter.com/Magazine. We have now begun accepting submissions for Issue 21.
firstwriter.com is issuing a warning to writers about Words Undone, a website supposedly intended to provide support and assistance to writers, but which has been accused of deception and copyright violations. A lengthy debate about Words Undone's practices can be found at http://www.absolutewrite.com/forums/showthread.php?t=208672, and while firstwriter.com cannot comment on the accuracy of these allegations, what we have been able to confirm is that Words Undone has been engaged in copyright piracy: systematically and illegally redistributing firstwriter.com copyright material, and charging its users to access it. Users need to be aware of the dangers of accessing such material. Recent cases have highlighted the fact that it is not just the pirates who can find themselves in court, but also those who consume the pirated material (the copyright equivalent of “receiving stolen goods”). In April, a law-suit was launched against 25,000 BitTorrent users who had used the service to access illegally distributed movies (click for details). It’s also possible to face criminal prosecution for illegal downloading, with the threat of fines or a prison sentence: a grandmother in Scotland was recently sentenced to three years' probation for illegal music downloading (for more information, click here). The same laws protect the written word, and if you click a link to access a page then you are in fact downloading the words written on that page, and could, without even knowing it, be illegally downloading pirated material. It’s therefore vital that you avoid sites like Words Undone. This particular site rapidly disappeared after we contacted them about the copyright violation, but the thread referred to above suggests that this is not the first time it has been taken down, and that the owner has a history of setting up writing sites and then suddenly shutting them down without notice. What has happened to the annual fees paid by members, and whether these have been refunded or not, we don’t know, but members concerned about their money will find that they are unable to contact Words Undone via their email address at wordsundone@gmail.com, as this was shut down on June 28. Instead, they might like to try the customer service phone number on their PayPal account: +44 (0) 7526 481969. David W. Cornish: This name doesn’t seem to appear much “front of house”, but is all over the financials at the back. When you sign up to Words Undone, this is the name on the PayPal account that receives the payment. It’s also the name on the firstwriter.com account used to steal our material. When you send money to this PayPal account, it shows up as going to a business called "Active Mobility Leicester" (operating in Tenerife as "Active Mobility Tenerife"). The email addresses for this operation include activerepairs@gmail.com and info@activemobility-tenerife.com, and the websites give the following phone numbers in addition to the one already given above: 0844 598 3313 (UK Low Rate) and 0034 922 789 707 (Spain). The trading address given on the website is: Beaumont Enterprise Centre, Unit 8, 72 Boston Road, Leicester, LE4 1HB. Watch out for these details cropping up in future. Debra/Debbie/Debs Spiller/Cornish: This is the name used heavily to post on the forums, including posting the stolen material sent to the account under David’s name. Debra Spiller is the name to which the wordsundone.co.uk domain name is registered. firstwriter.com accounts under Debra Spiller and Debra Cornish have shared the same email addresses, postal addresses, and even passwords as those under David Cornish’s name, and have been paid for through his PayPal account. Strangely, the electoral roll states that David lives with Iris and William Cornish. It doesn’t mention anyone else. Lorraine Cornish: More firstwriter.com material was posted by a supposed guest on the forum called “Lorraine”. This is the name registered as the owner of the domain name wordsundone.com. The registration gives a postal address for Lorraine Cornish that matches the postal address on a firstwriter.com account for Debra Spiller, and it’s worth pointing out that the details of a bankruptcy filing for Debra Spiller in 2006 (available here) gives her full name as Debra Lorraine Spiller (also known as Debra Lorraine Basford and Debra Lorraine Solsberg). When we emailed David Cornish at the email address on his firstwriter.com and PayPal accounts we got a reply signed manually "D Cornish". Whether this was intended to stand for Debra or David is probably deliberately unclear, but at the very bottom of the email, going apparently unnoticed, was an automatic signature that read "Lorraine". Other alleged connected names can also be found in the thread referred to above. This episode acts as a timely reminder of the importance of copyright. Though it’s often forgotten, stealing someone’s intellectual property (something they’ve written, for instance) is no different to stealing someone’s physical property. Electronic communication has made it easier to copy and share information, but that doesn’t make it any more legitimate. As writers, the protection of intellectual property rights should be important to you. These laws are there to protect people like you. Don’t assume it’s okay to forward things like firstwriter.com listings to friends – it isn’t. And if you do, don’t assume that the copyright owner won’t be able to find out and trace the breach back to you. There are lots of tricks these days to allow website owners to track where their content is going, whether it's being sent to other email addresses or posted online. As and when they identify you as the source of the breach you could be held liable to pay subscription payments for all the people you’ve made the information available to – either directly, by sending it to them, or indirectly, by the person you sent it to sending it to more people and/or placing it on a website, etc. Only recently we discovered a user was forwarding our InstantAlert emails to a friend, and he had to pay another subscription fee as a result. Whether he was able to recover that from the person he was sending the alerts to or not, we don’t know. So if you know of someone you think would like to see firstwriter.com information, direct them to www.firstwriter.com/subscribe, where they can make the same payment that everyone else has to make, and enjoy access to the information legitimately. Don’t risk winding up in court in order to give others for free what you have to pay for! This month has seen the launch of the Firebird Poetry website, described by the makers as an innovative poetry website where poets of all ages can upload their poetry for free. Their work will then be available to be read and appreciated by people all over the world. Annual awards will be made for both adult and children's poetry, with a distinguished panel of judges making the awards and young poets encouraged to take part through their schools. For more information go to www.firebirdpoetry.com.